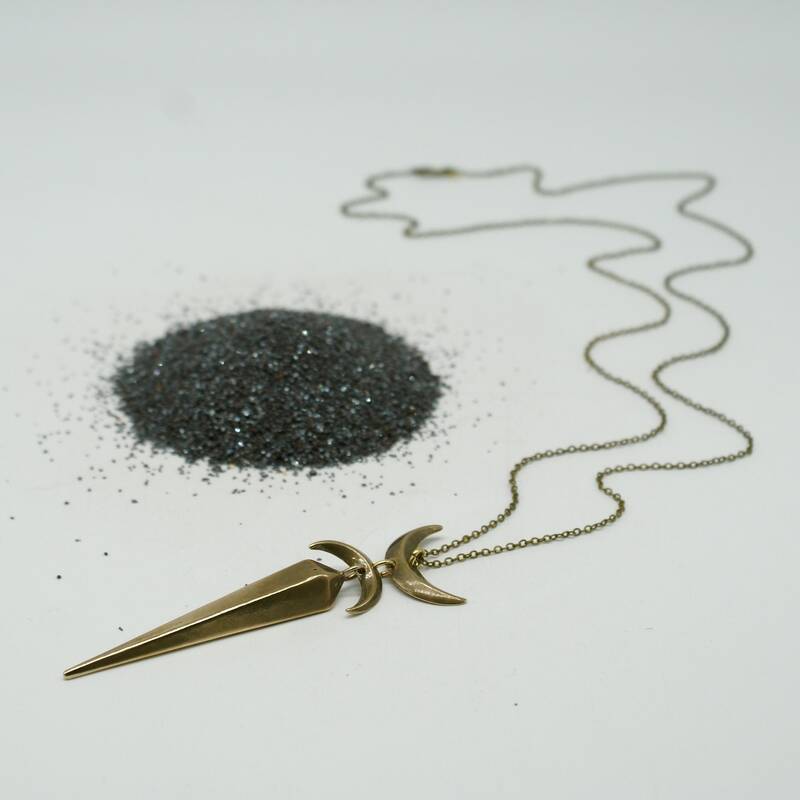 This necklace features two beveled crescent moons hovering above a thick, solid pendulum spike. 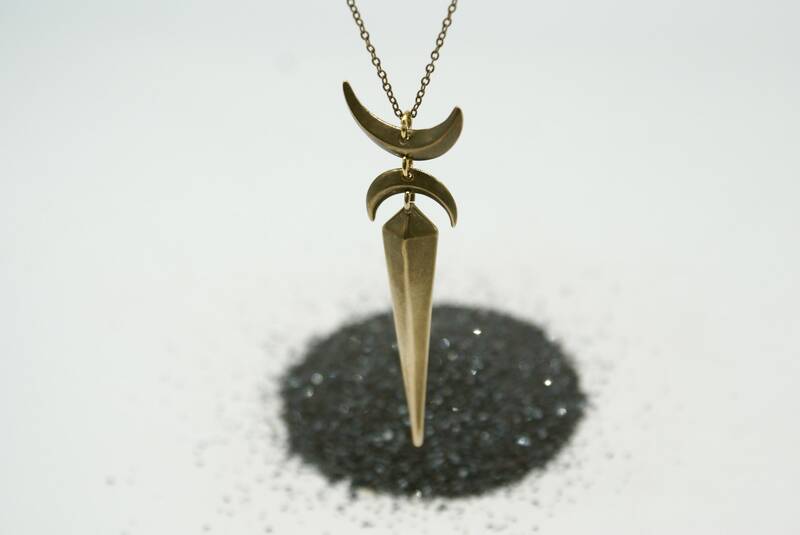 Each part of this three-tiered pendulum necklace was originally carved in hard wax and then cast in bronze, so the piece hangs with a sturdy weight. 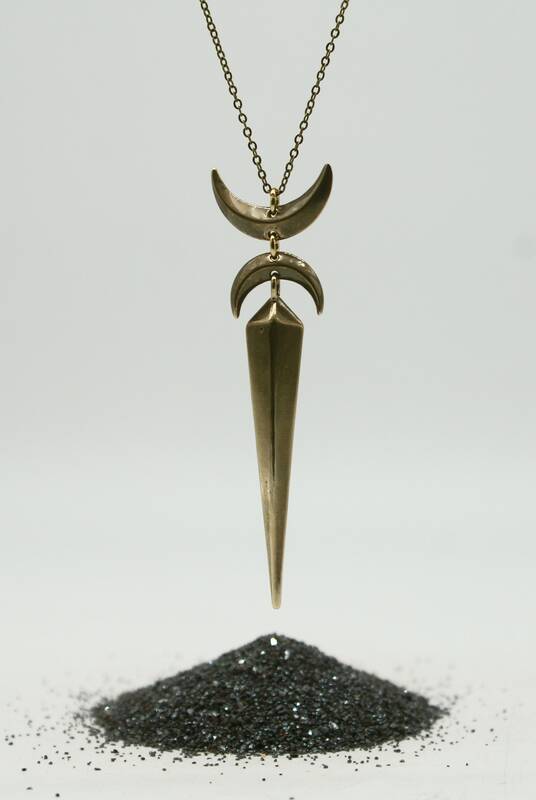 This pendant measures about 3 inches from top to bottom and approximately 1 inch across at its widest point. 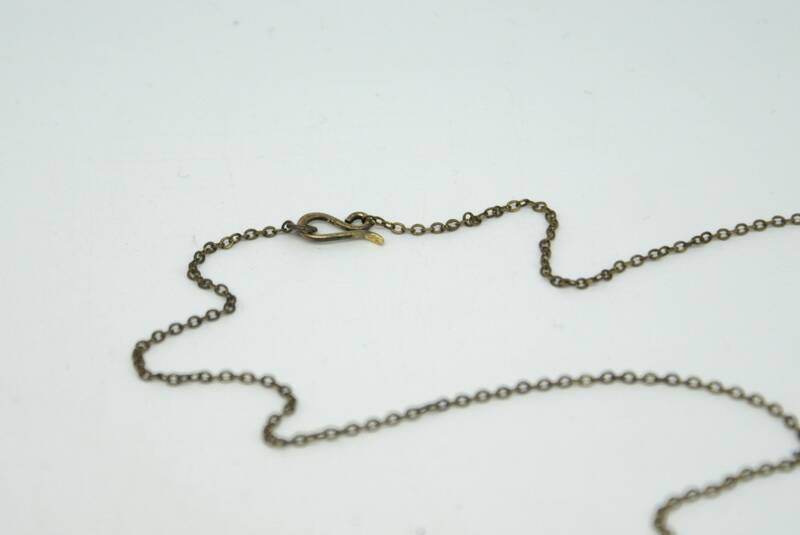 It is suspended on a fine 30" antiqued brass rolo chain that is finished with a hand-formed hook clasp.